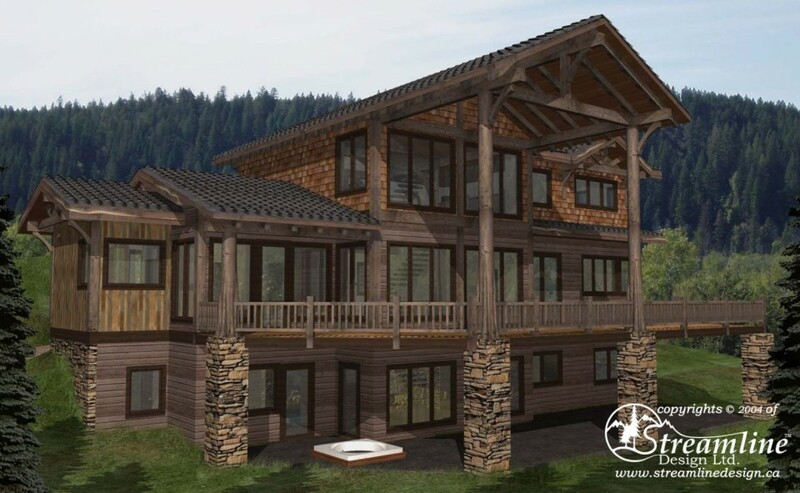 This luxurious three story timber frame log home has plenty of space for family, friends and the in-laws! 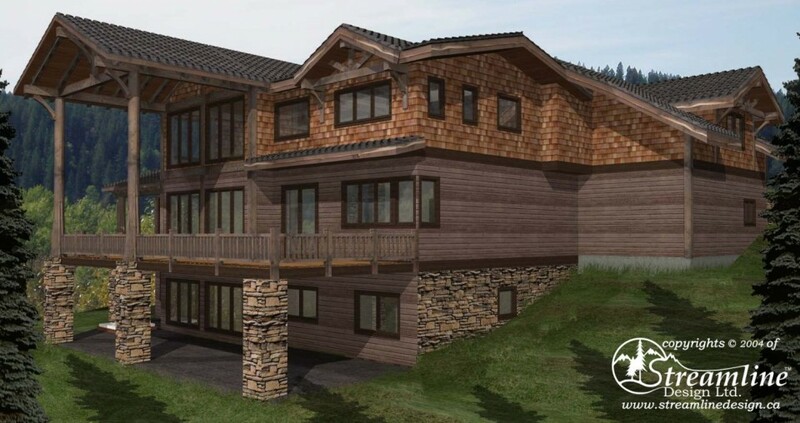 This plan boasts two junior master bedrooms with walk-in closets and ensuite bathrooms, two more bedrooms, a spacious and private master suite as well as a suite above the garage complete with kitchen, eating nook, living area, bedroom and bathroom. Downstairs in the basement is a sauna and rec room with an in ground hot tub outside on the patio. 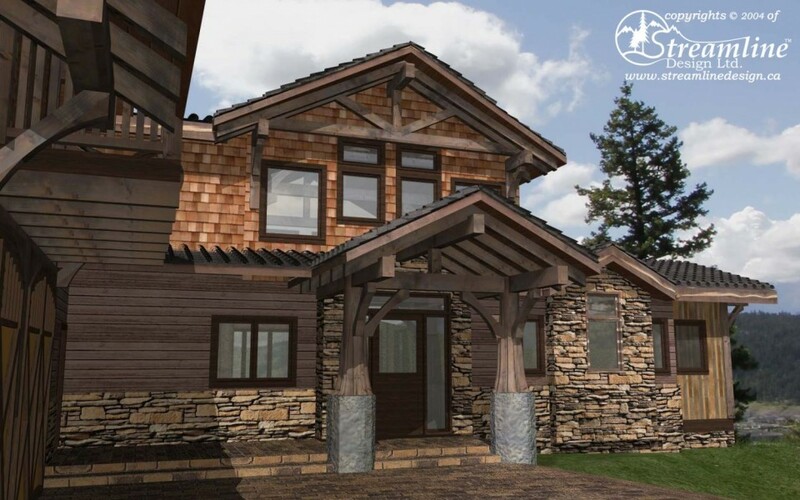 Upstairs is an expansive great room, dining and kitchen with large pantry alongside a mud room, powder room and two car garage.